Gorski, Strategic Mobility Group LLC President, named one of the Top Women of the Channel for fourth consecutive year. I want young women everywhere to pursue their dreams and passions. Even if I only inspire one young lady to follow her aspirations, then I will have done my job. Strategic Mobility Group, LLC (SMG3), a leading provider and integrator of mobile technology solutions for enterprises across North America, announced today that Nancy Gorski, president, has been named to The Channel Company’s esteemed 2016 CRN® Women of the Channel list. The annual Women of the Channel list honors remarkable female executives across vendor channel organizations, distributors, solution providers, and other women prominently involved in the IT channel for their successes and the extensive impact they are having on the technology industry going forward. 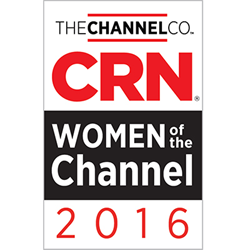 Carefully reviewed and selected by the editors of CRN, this year’s Women of the Channel were chosen based on their accomplishments and significant influence over the technology channel. As president of SMG3, Gorski has worked to make SMG3 into an employee-based company culture, and over the past five years, the company has experienced double digit growth in terms of revenue as well as staff. This year alone, SMG3 has added numerous benefits to an already extensive benefit package, such as unlimited paid time off (PTO) and discounted memberships to various organizations. The Women of the Channel will be featured in the June issue of CRN, and online at http://www.crn.com. To learn more about Gorski, visit: http://www.crn.com/NancyGorski. Strategic Mobility Group (SMG3) was founded by Nancy Gorski, Nico Genet, and Eric Holmes as an innovative technology provider that designs and integrates mobile solutions for enterprises. We consult companies on how to operate more efficiently through the use of mobile hardware, software, professional services, and support. It is our job to keep businesses up-to-date on the latest technology and provide them with innovative solutions that will maximize efficiency both inside the four walls and out. One of the best parts is, unlike other mobile technology providers, SMG3 supports our customers with a suite of services: site surveys and evaluations, custom device configurations, staging/kitting, training, technical support, and more. Helping businesses improve operational efficiencies and ROI is why many of the Fortune 500 companies choose SMG3 to manage their enterprise mobility needs. Learn more about us at: http://www.strategicmobility.com. Besides being a leading technology solutions provider, SMG3 also offers an amazing compensation plan to its employees. In addition to unlimited paid time off and an extensive benefits package, which includes 401k, medical, dental, and vision insurance, short- and long-term disability insurance, life insurance, and 10 paid holidays, SMG3 offers a flexible work policy and regular training and development courses. SMG3 strives for an employee-based company culture and also offers complimentary breakfast, pop-up events that include treats and music, a casual dress code, and discounted memberships to different organizations.